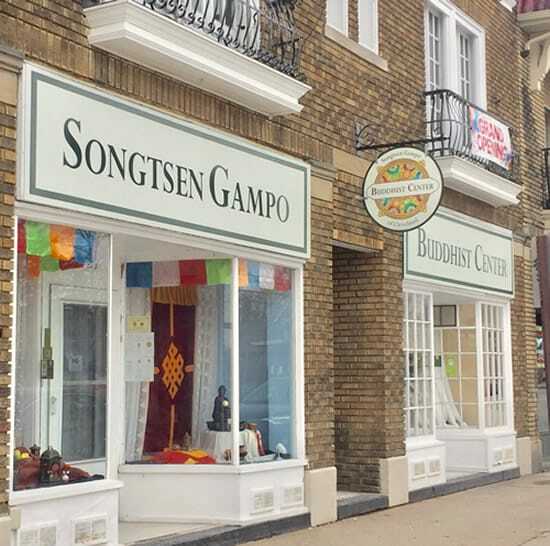 In February, Songtsen Gampo Buddhist Center opened in Lakewood, Ohio, a city of 50,000 neighboring Cleveland. The Buddhist center started in 2008 as a nonprofit organization under the leadership of Tulku Pema Wangyal Rinpoche and Jigme Khyentse Rinpoche. 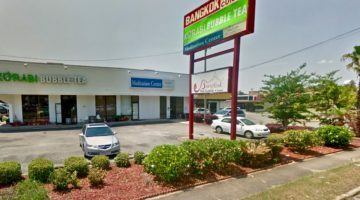 Originally housed on the first floor of a two-family home in Cleveland, the center later moved to Lakewood and is now located in a double storefront space. Buddhist nun Ani Palmo Rybicki runs Songtsen Gampo and has been teaching Buddhism and meditation courses in Cleveland for over ten years. She grew up in Ohio and encountered Buddhism after moving to Japan to teach English. 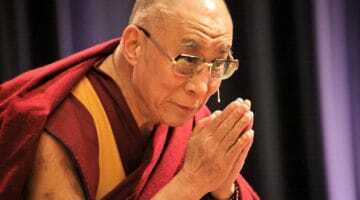 She studied in France under Pema Wangyal before received ordination as a Buddhist nun in 1994. Songtsen Gampo includes a Buddhist temple that holds tsok—a ritual involving food offerings and prayers to repair samaya, create merit, and cultivate an understanding of non-duality—twice per month. The center also hosts meditation classes, retreats, and activities for all ages. It claims to be the only Buddhist center in Cleveland with programs designed specifically for families and children.